One upon a time, there lived an honorable king in a prosperous country. He was well known all over the country for his trustworthy words as he always kept his promise no matter what. Because of this nature of the King, he was widely regarded by people in his kingdom. All the people in his kingdom were very happy and leading a peaceful life. However, there was a cunning burglar in his capital city. Once, when he was trying to steal some jewels from one of his minister’s house, he was caught red handed. He was presented in front of the King. At that time, the king was playing ‘CHESS’ with one of his minister. The punishment for stealing in that country was death. 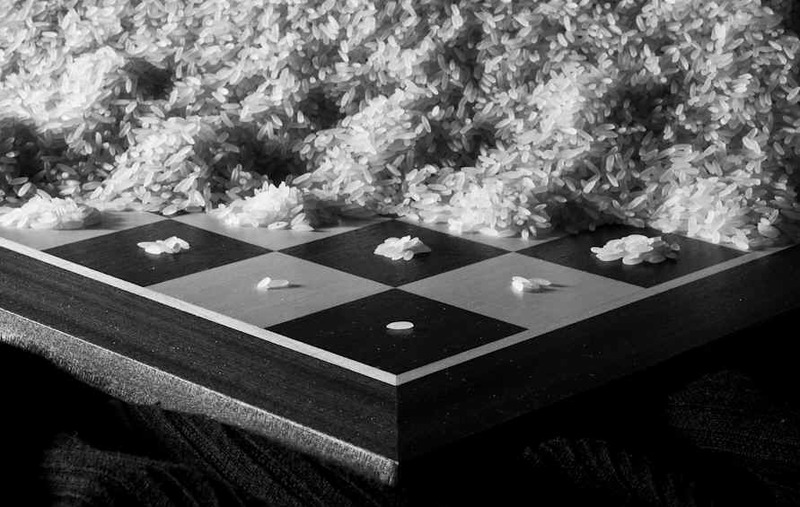 Nevertheless, the burglar knew about the honorable nature of the king. He demanded one last wish from the king. The king agreed and said that if it was in his power and good will, he will fulfill his wish. The King granted the burglar’s wish without much thinking and regarded it as a small wish. He happily accepted his wish and promised that he will only be prosceuted after his last wish was fulfilled. However, a week later, the king’s treasurer informed the King that even his whole kingdom doesn’t produce as much rice as promised. The quantity of rice promised might not even be produced by combining many countries. In the end, the King was forced to give his kingdom and all his possessions to the burglar, as he could not keep his promise. That is the power of compounding. I was amazed when I realized what wonders compounding can do. I still remember my grandfather’s words after the story “The strongest force in the universe is Compound Interest.” Although later, I found out that these words weren’t his words but were originally Einstein’s words. However, hearing this from my grandfather at that young age was quite inspiring. Another book that I read at a young age- ‘Think and Grow Rich’ by Napoleon Hill. This is the number one self help motivational book that I have came across. I definitely recommend everyone to read this book. 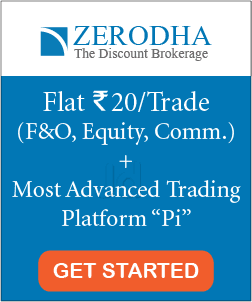 Now, you might be thinking what’s so great about the power of compounding. Even a fifth grader knows the term. Yes, you might argue that. However, there are things that the fifth grader doesn’t know and if he understands it, he can set the whole world on fire. Let’s see how the concept of compounding works. 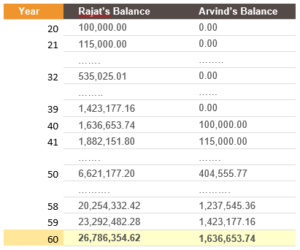 Suppose Rajat invested Rs 1,00,000 at the age of 20 and locks all his investments till retirement. Arvind, however, doesn’t make any investment till he is 40. At 40, he invested Rs 1,00,000 and locks it till the age of 60. The table below tells you how their investments would turn out when they both are 60, assuming that the growth rate is 15 percent per annum. The results are eye-opening. 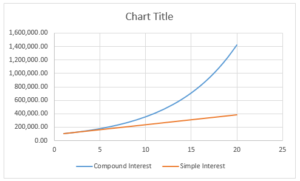 Compounding is a simple, but a very powerful concept. Why powerful? 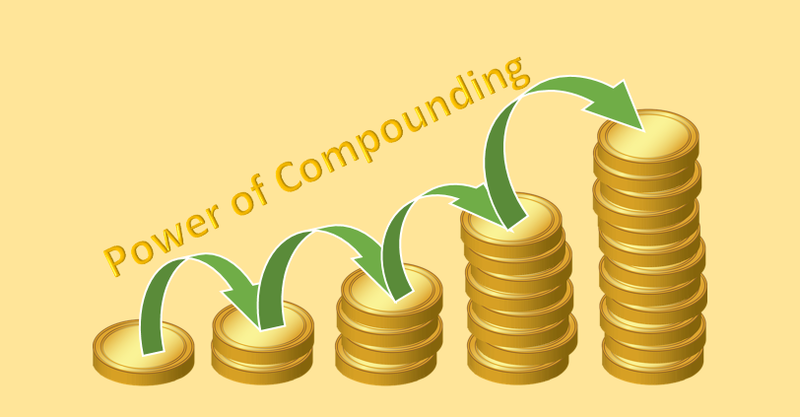 Because compounding is similar to a multiplier effect since the interest that is earned by the initial capital also earns an interest, the value of the investment grows at an exponential rate rather than an arithmetic linear rate. The higher the rate of return, the steeper the curve. Here is a chart of returns on compound interest vs simple interest. 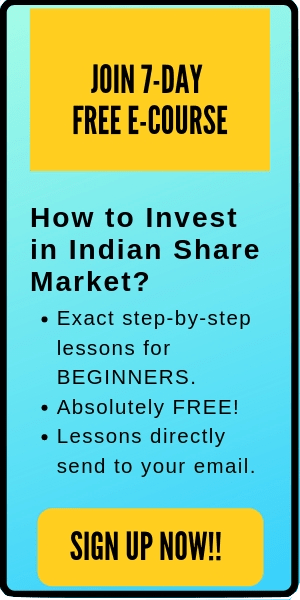 The principal amount is Rs 1 lakhs and an annual returns on both simple and compound interest is 15%. I am glad that I received this financial advice at a very young age. This financial knowledge has changed my life and still changing. I hope you understand this concept and the next time you plan to borrow money on credit cards, remember that compounding is working against you. Compounding lesson was good but today it’s difficult to save.